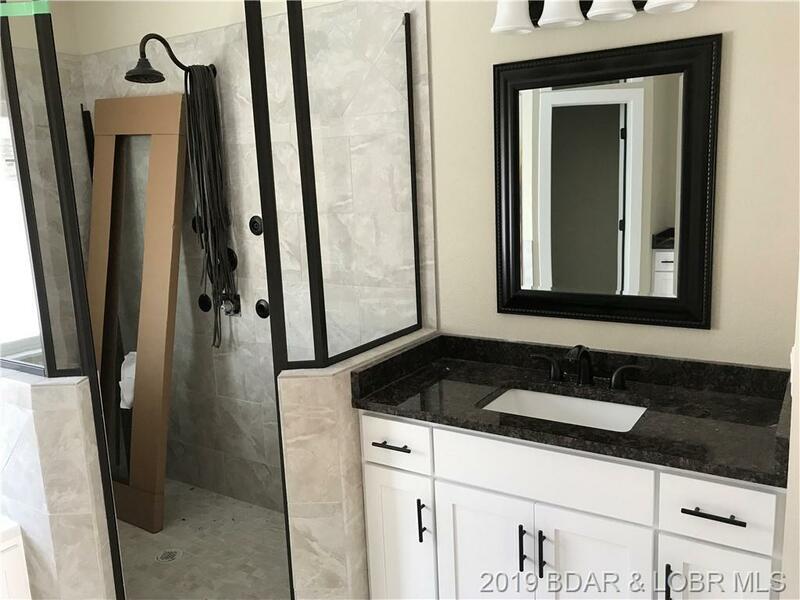 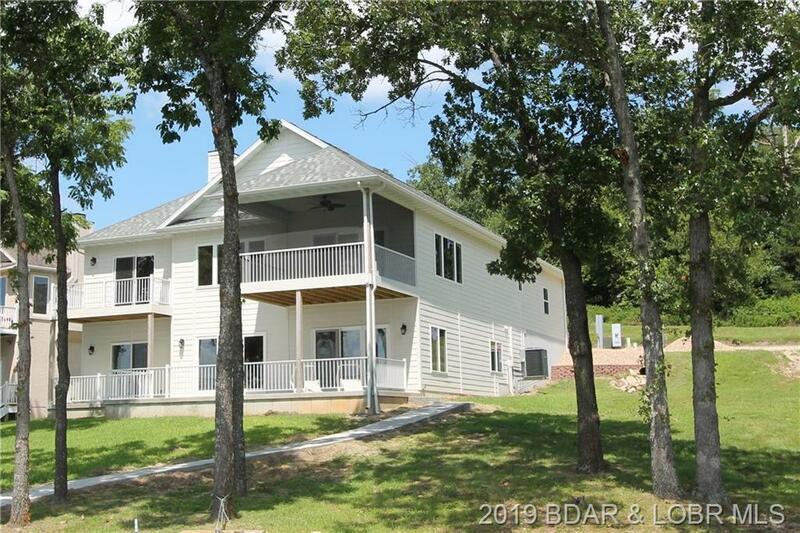 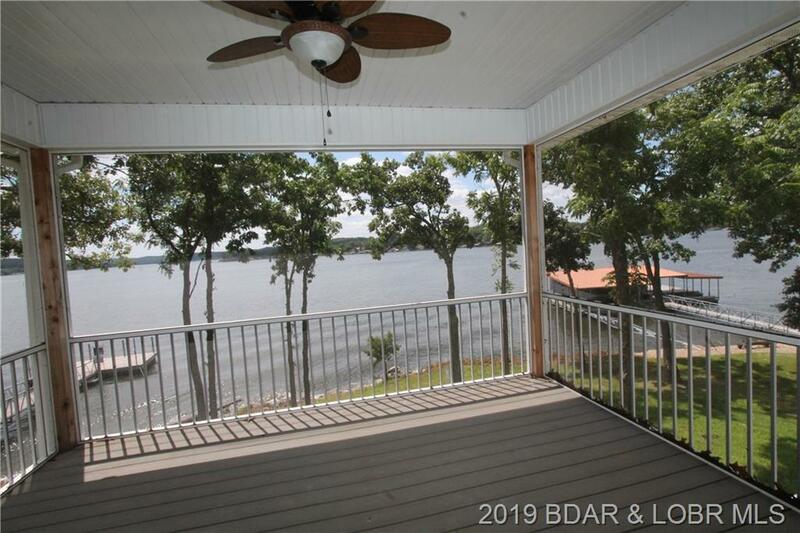 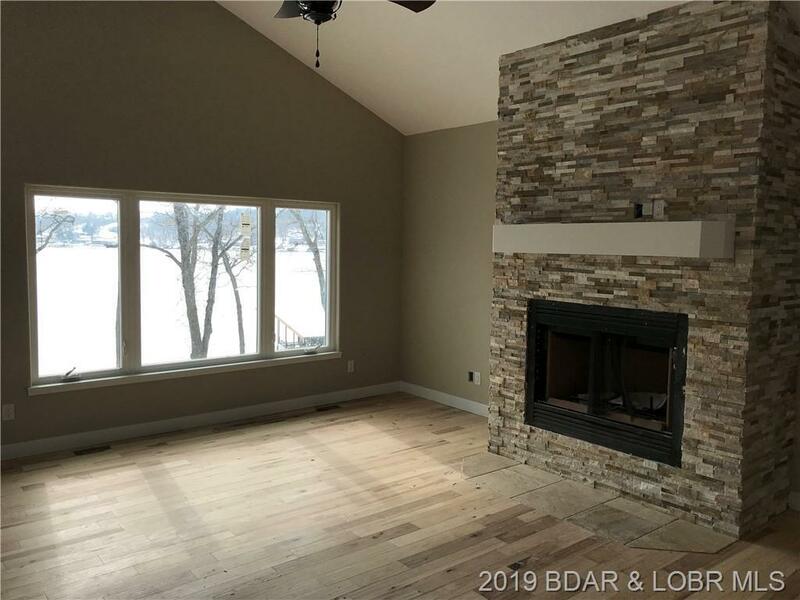 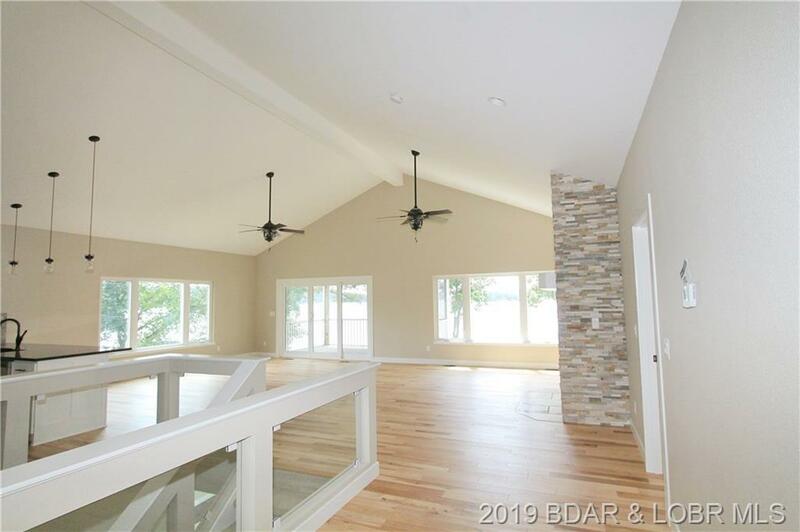 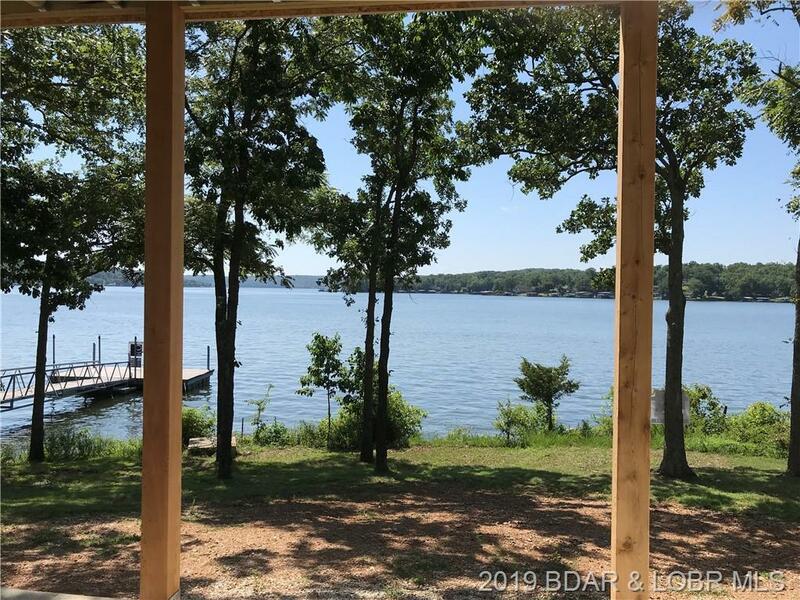 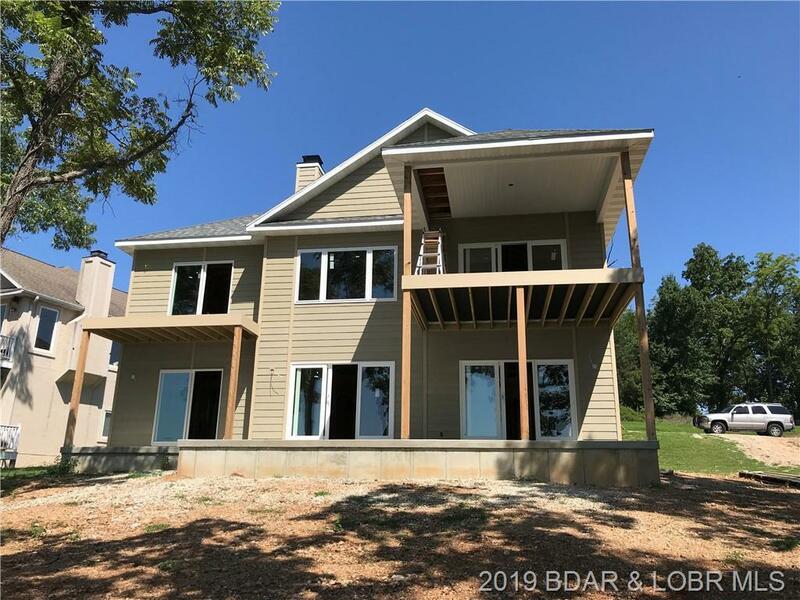 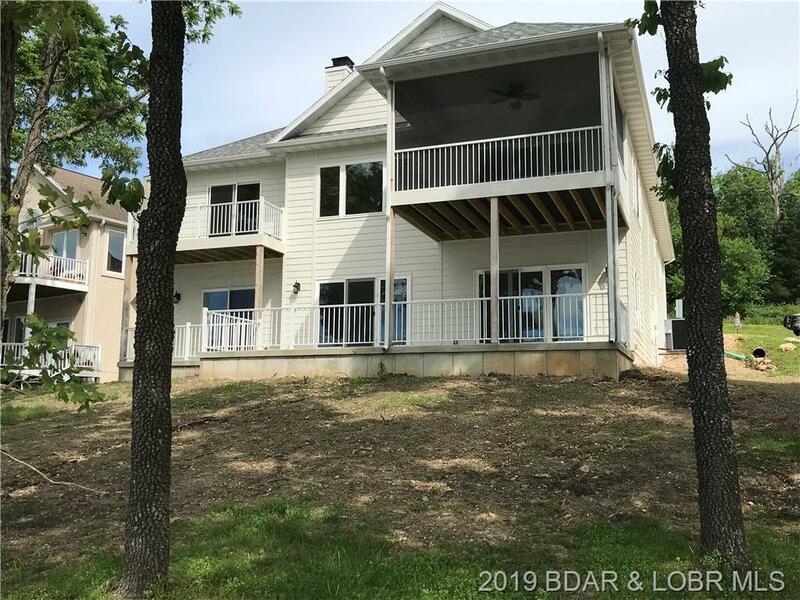 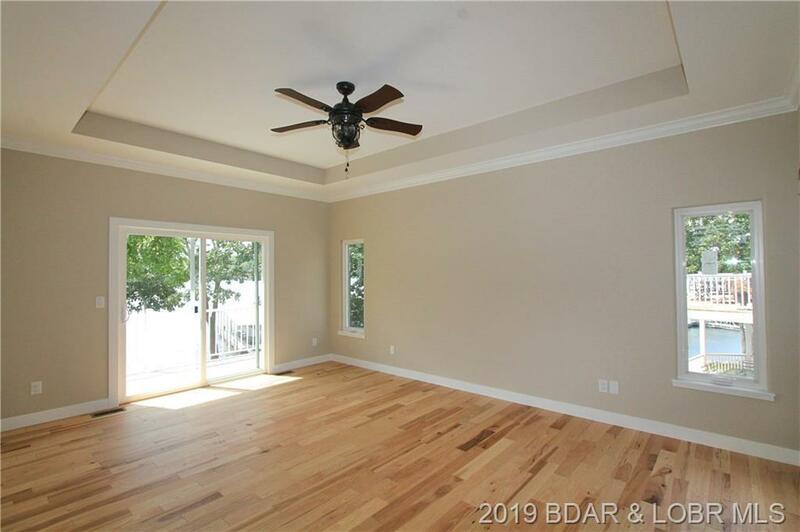 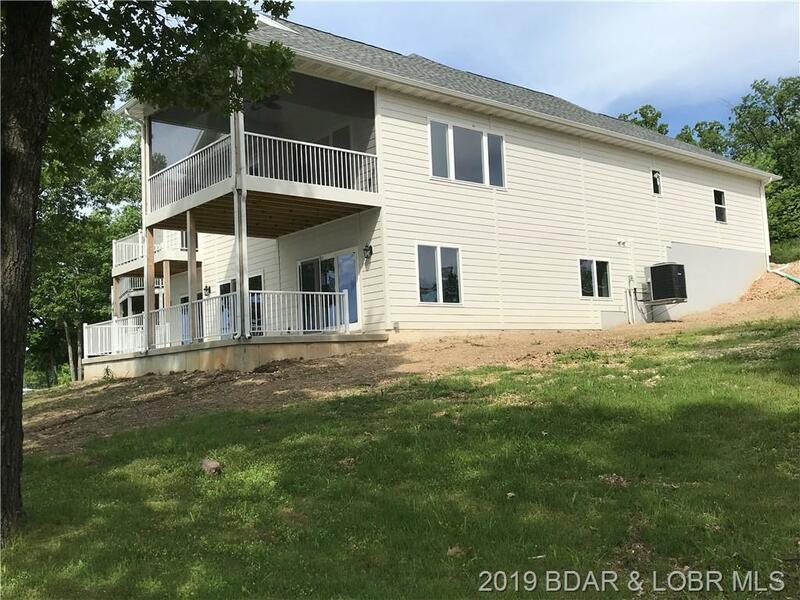 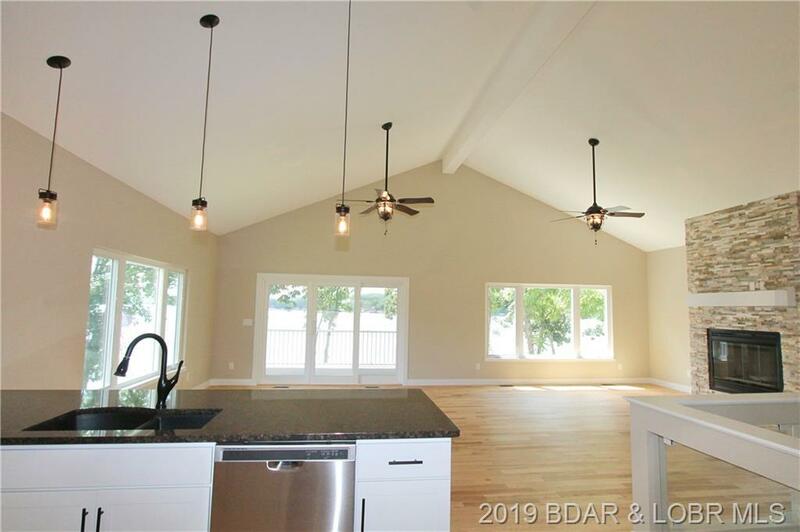 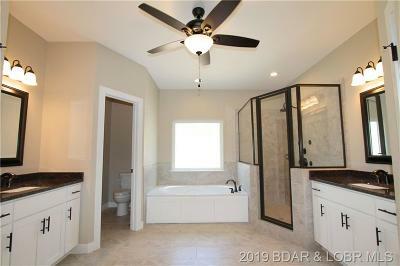 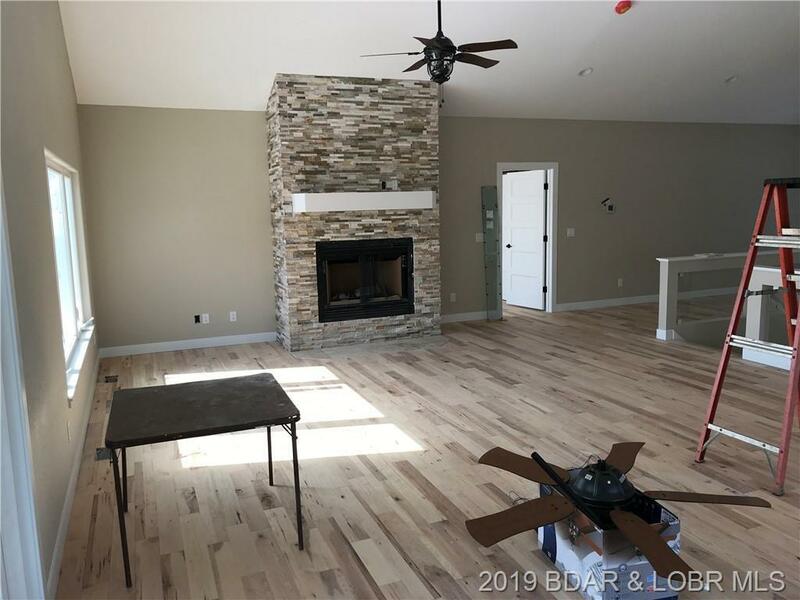 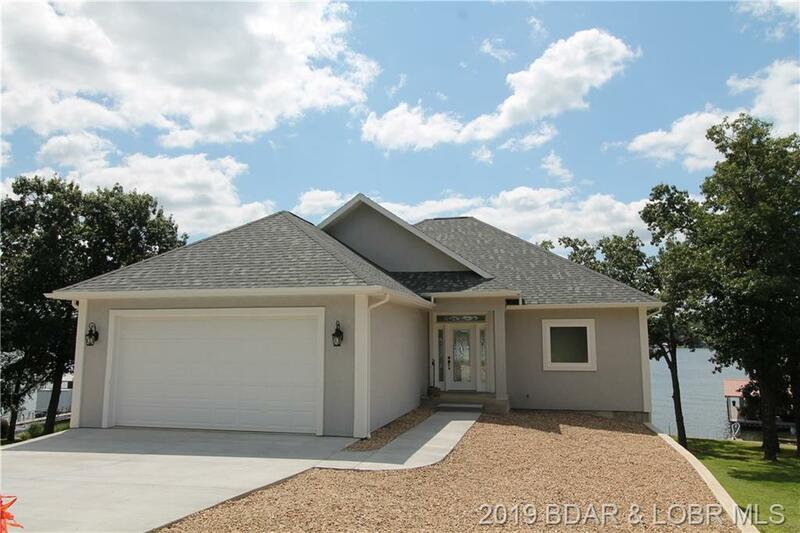 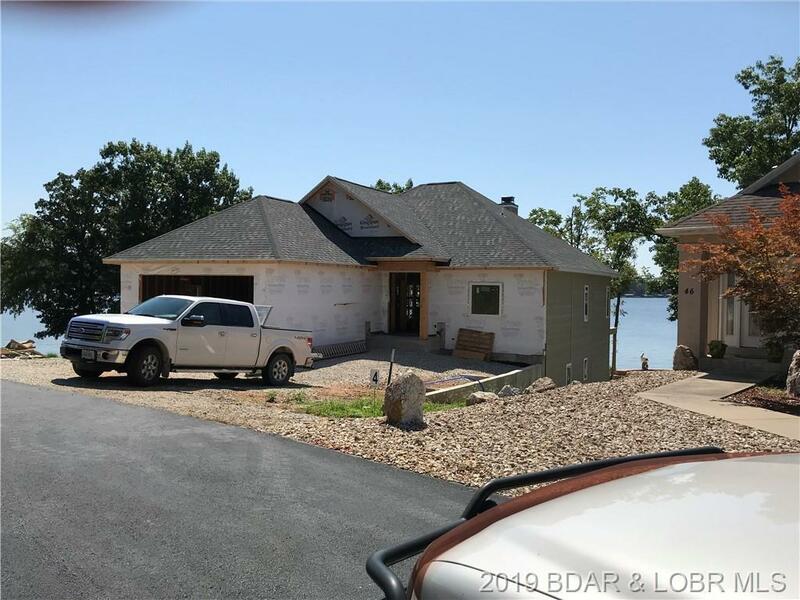 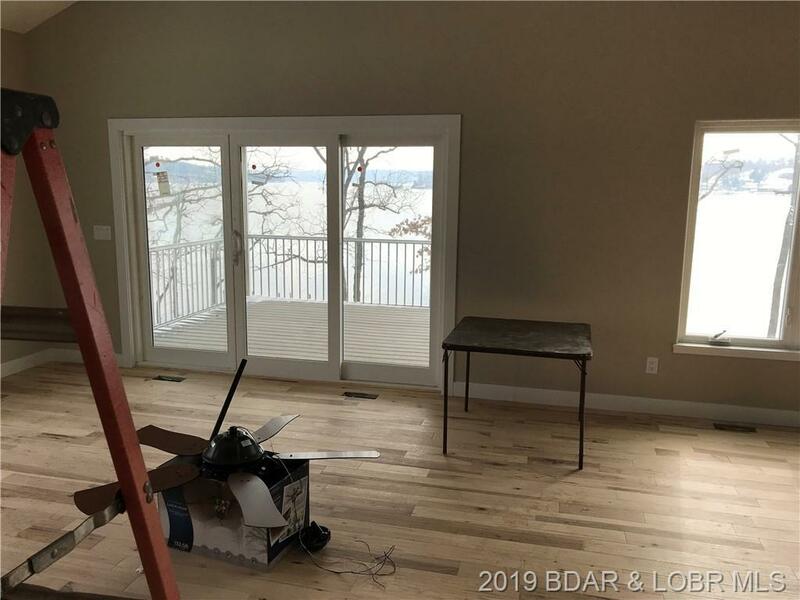 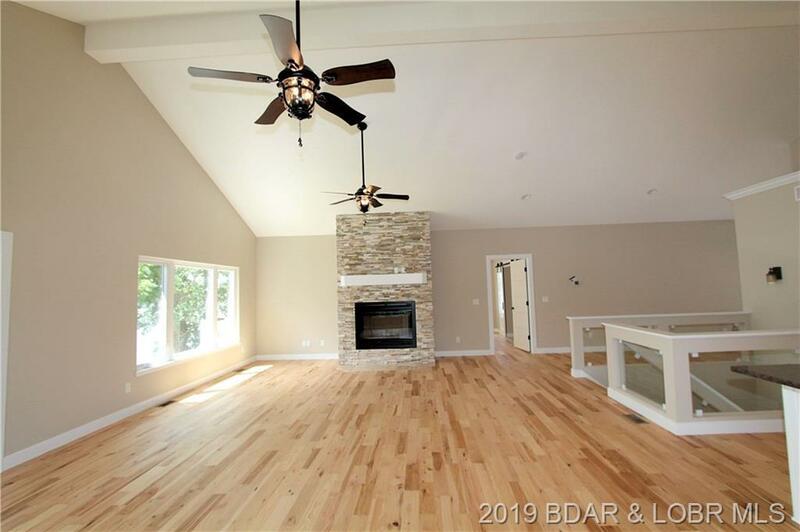 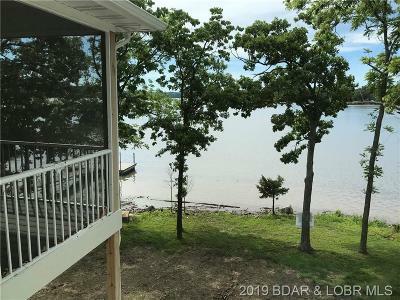 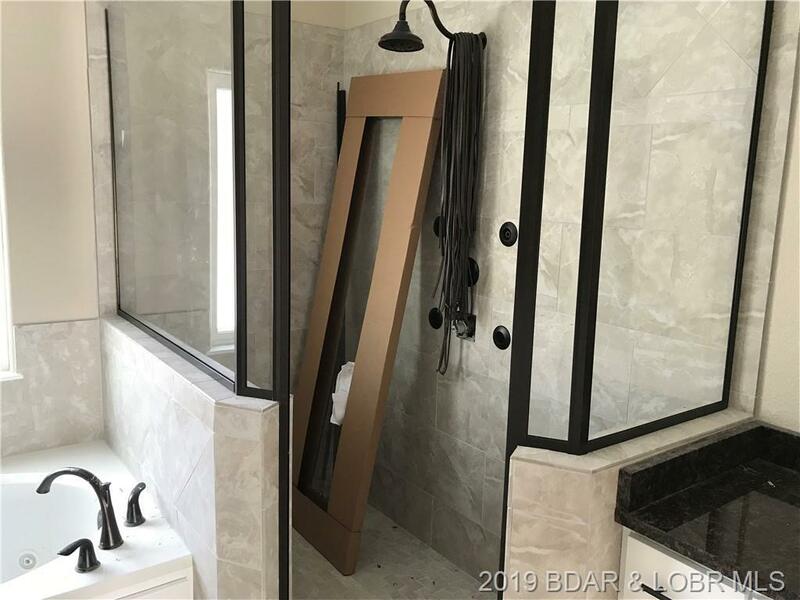 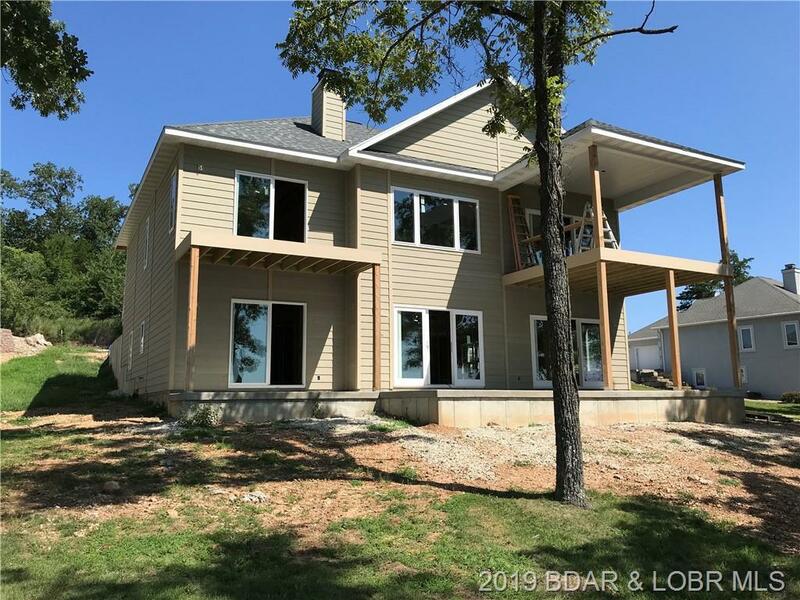 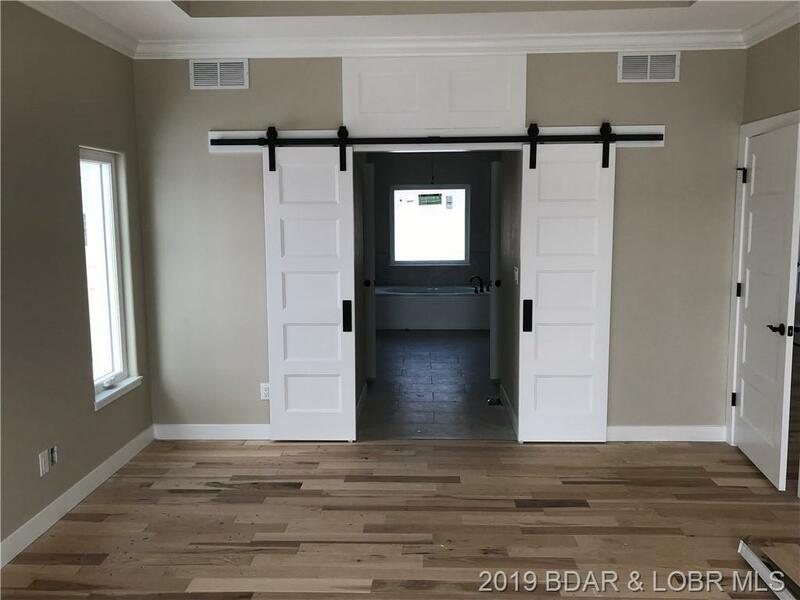 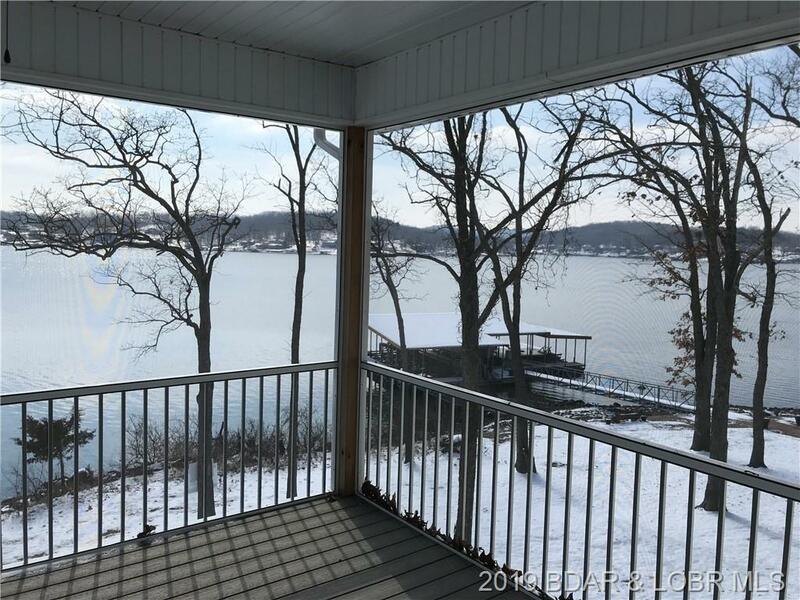 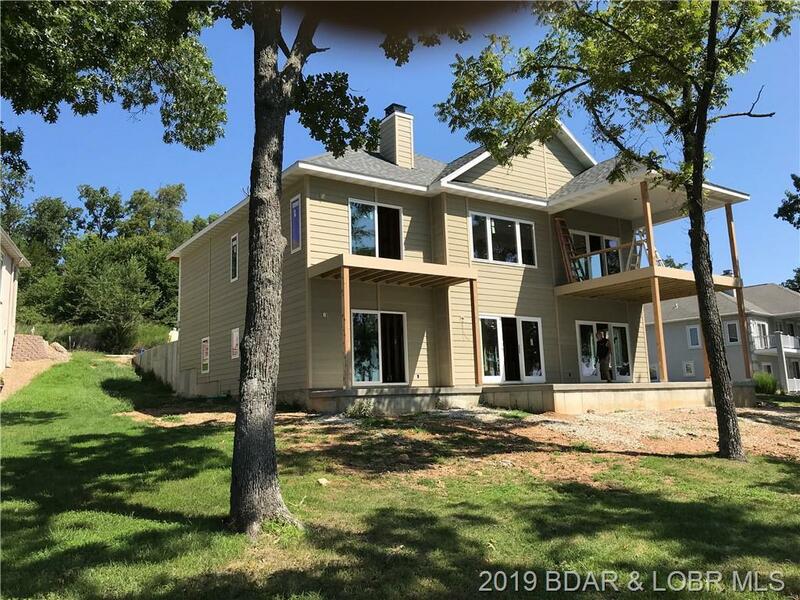 Come see, almost done, new Construction, beautiful Spec home, minimal steps 1 level living, deep water with a gentle almost flat lakefront lot with 3 mile east facing view down the Osage at the 44 MM. 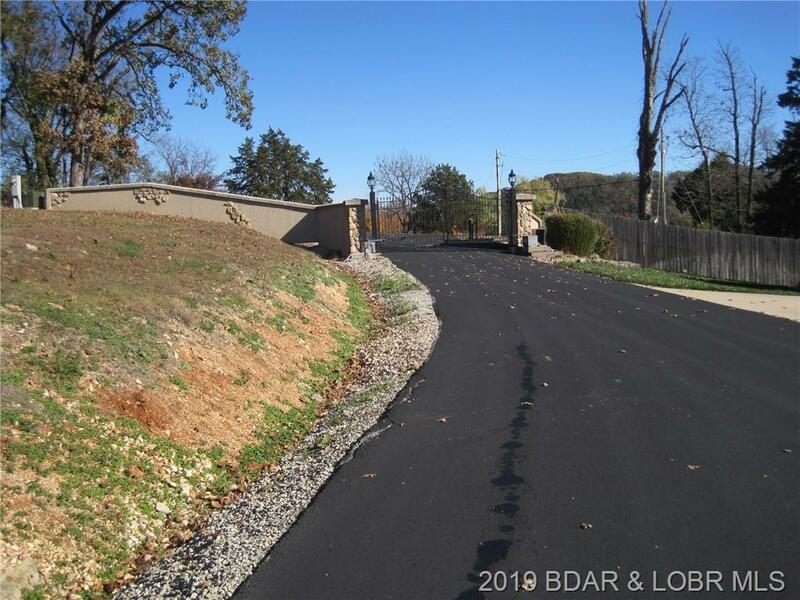 In a gated subdivision with sewer, water, trash removal, black top to your concrete drive. 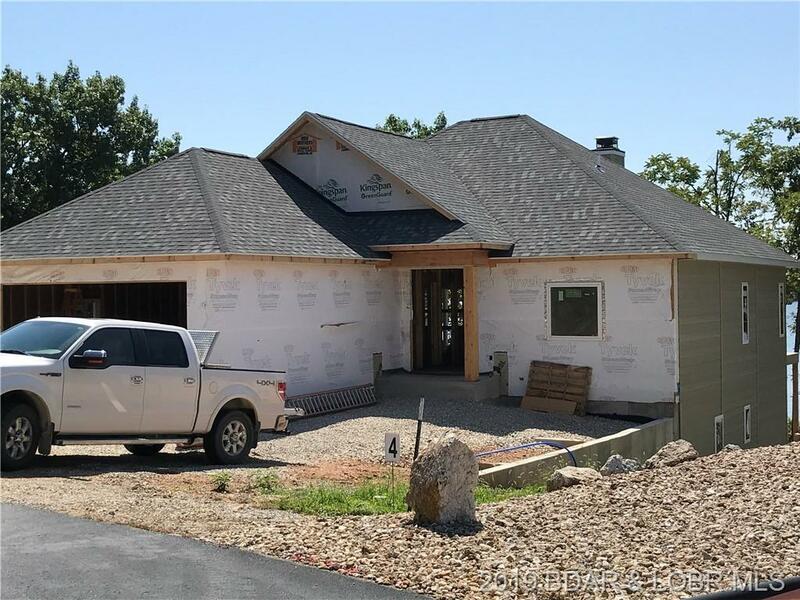 Builder is Bud Edwards Construction developer is MWR Const. 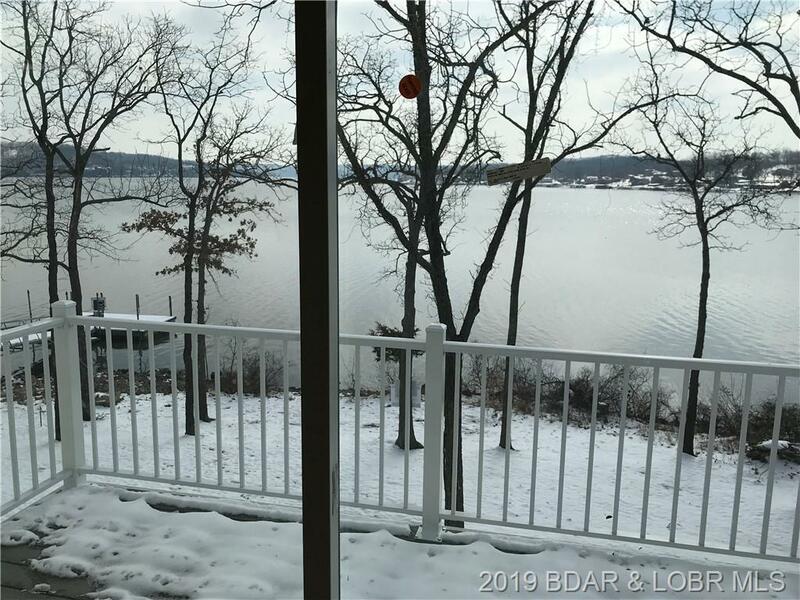 who built and developed Sheldon Point in the Gravois, Blue Water Bay and Cimarron Bay at the 19 MM Osage as well as other properties around the lake and in the KC area. 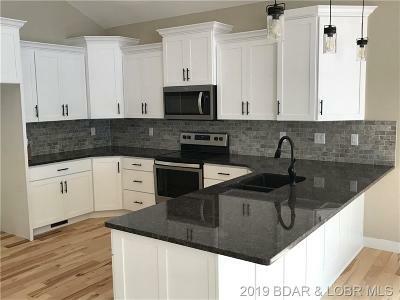 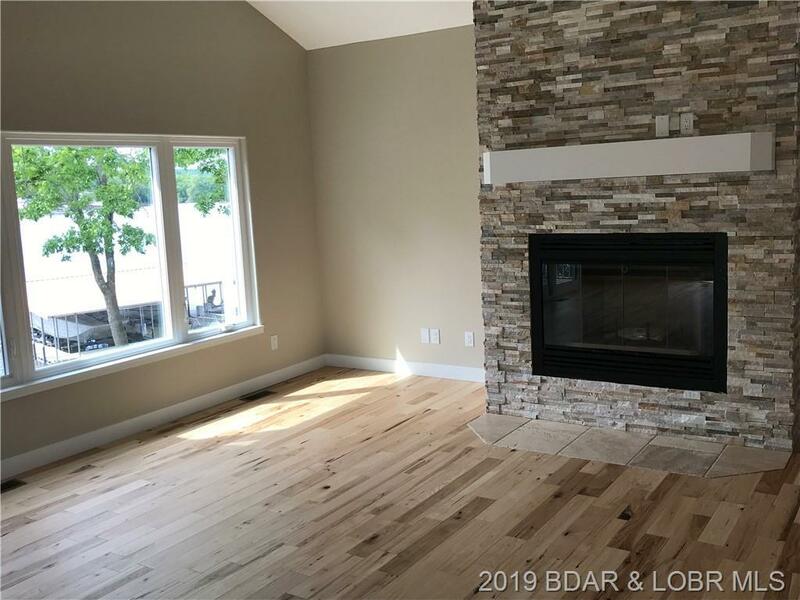 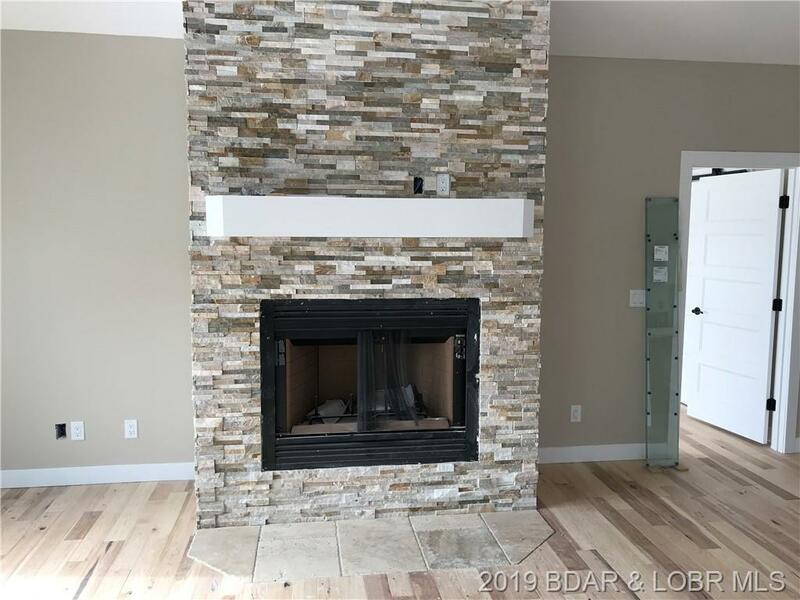 House is almost finished, huge kitchen, beautiful cabinets Hardwood floors and Granite counter tops, rocked gas fireplace, Huge dining and living area. Upper and lower master bedrooms, big family room and bar area in the lower level. 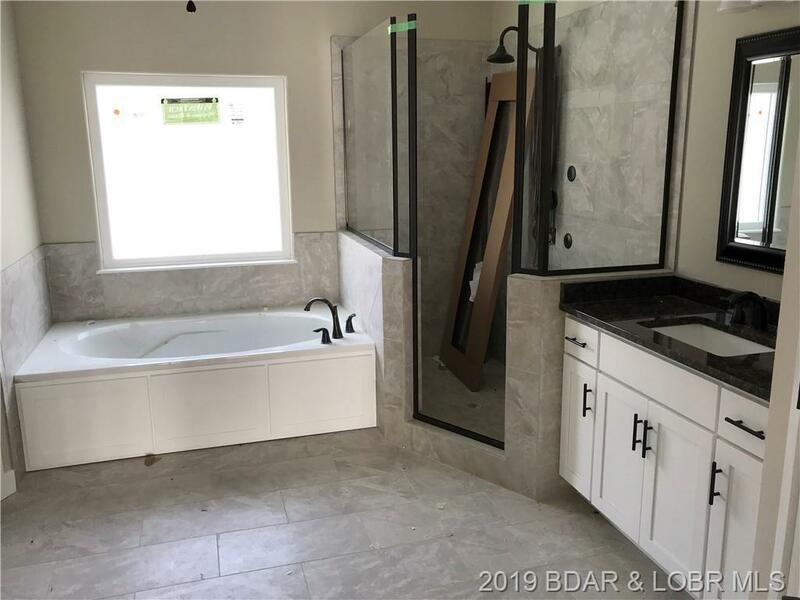 Mostly just outside concrete work yet to do. Flooring is in, cabinets are in, tile work is done, it is beautiful, with an unmatched view you will love.